Junior Explorers and Explorers Club are high quality childcare programs for children, ages three through fifth grade. At Explorers, we provide children opportunities to learn through a wide variety of activities such as art, music, science projects, cooking, games, writing, reading, crafts, outdoor play, computers, practicing social skills, gym time, dramatic play, and much more! There is a balance of activity options that includes large group, small group, and individual choices. Minnetonka Community Education Explorers programs are NAEYC Accredited and are 4-Star Rated by Minnesota Childcare Agencies. 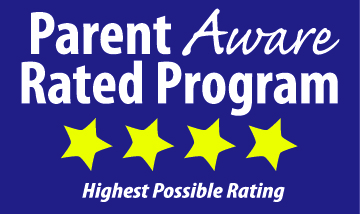 In addition, all six of our elementary programs have earned accreditation through MnSACA MAAP.